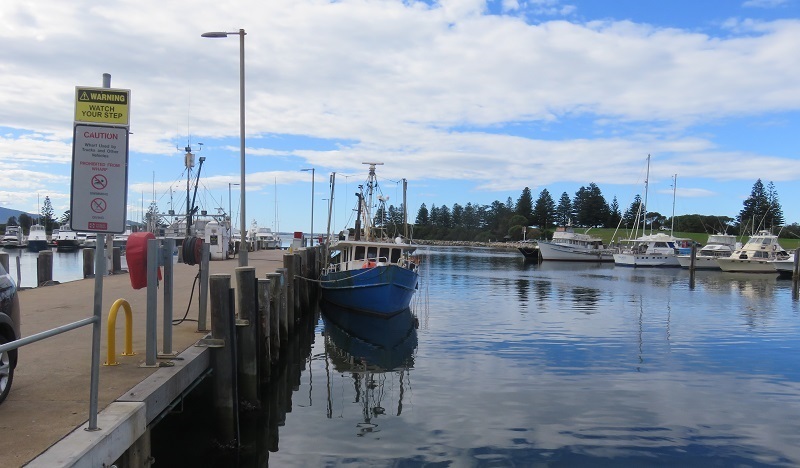 Bermagui, birds, swamp wallabies, and deep sea fishing. 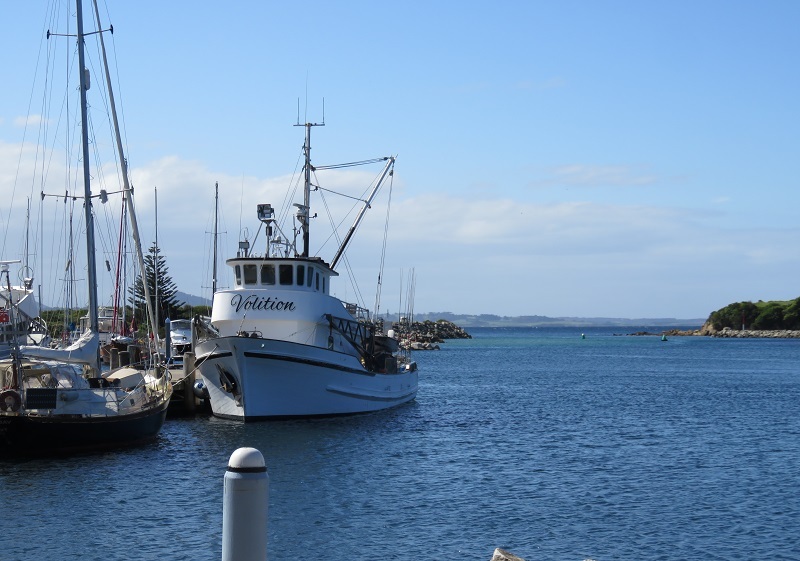 Bermagui is a pretty town on the south coast of New South Wales. It is not far from Canberra, and, needless to say, it is a holiday destination, and second home to many city dwellers. 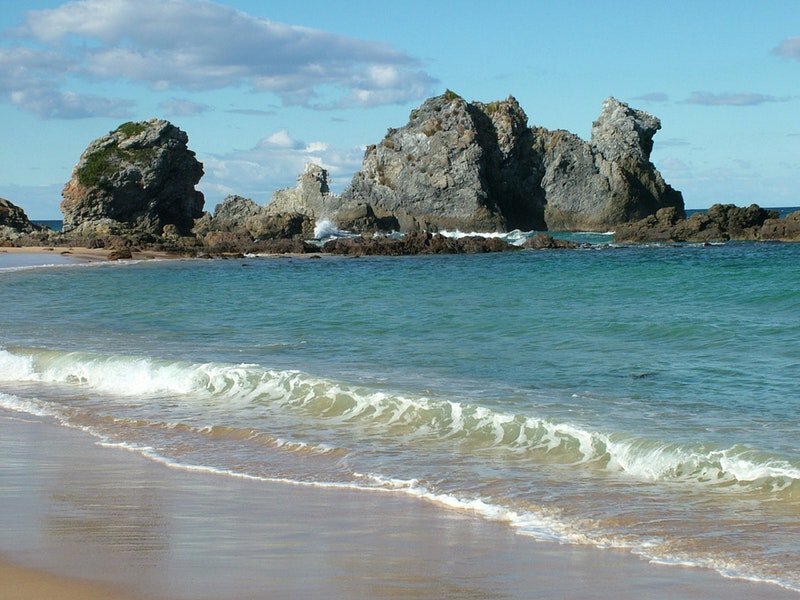 We occasionally stay with friends in nearby Mystery Bay, and this often includes a visit to Bermagui. Along the way, we enjoy the magnificent scenery, a coastal bush walk, and, at end the day, wonderful fresh fish to eat. The photo below was taken a few years later, just after much needed rain…ongoing planting but progress. 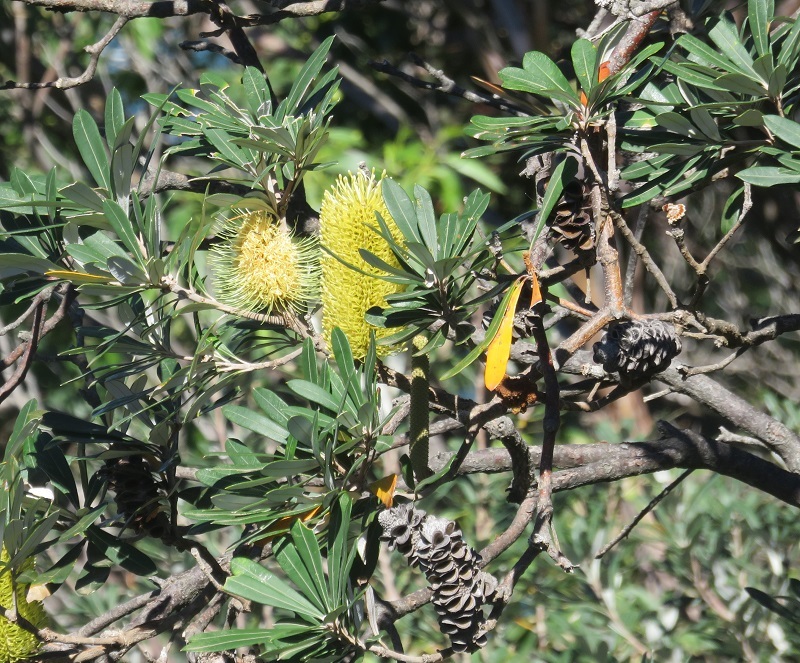 On our coastal walks we often see the hardy coastal Banksia. 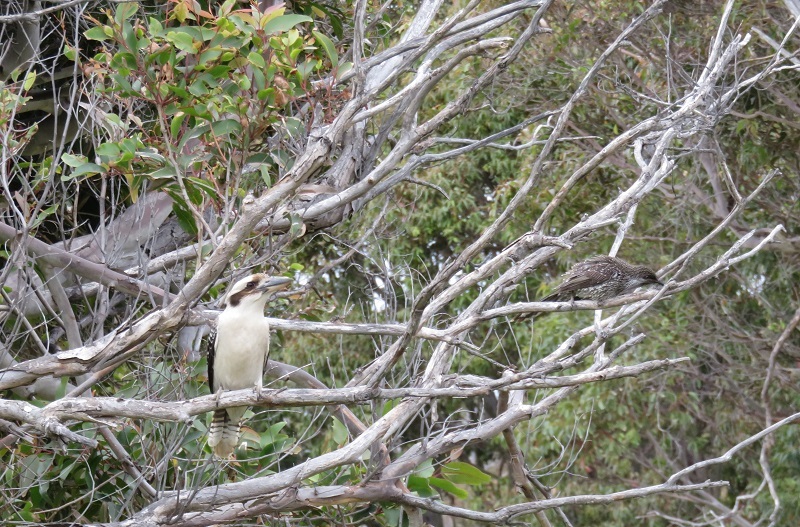 Occasionally we see or hear a Kookaburra, also very common in this area. Isn’t he perfectly camouflaged in his natural environment? Along with the smaller bird, perhaps a Wattle bird. 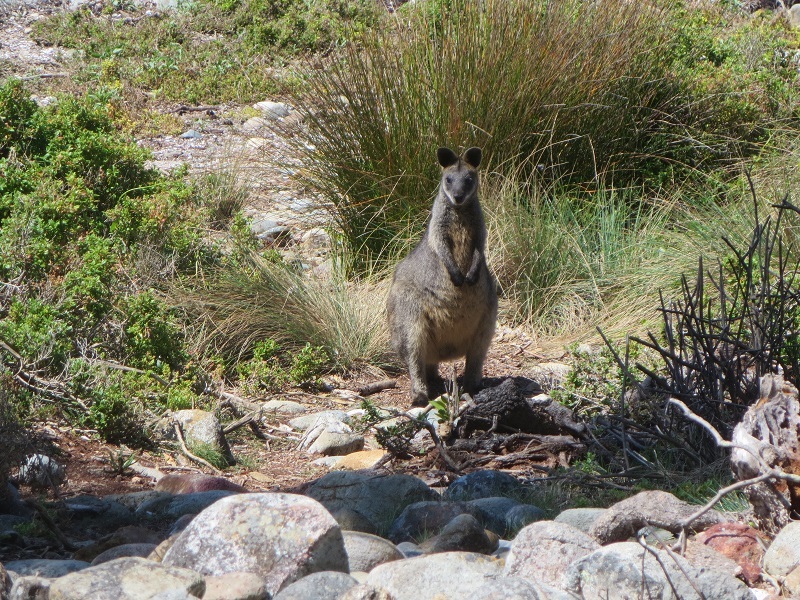 If we are lucky we sometimes catch a glimpse of one of these little swamp wallabies…so very cute! 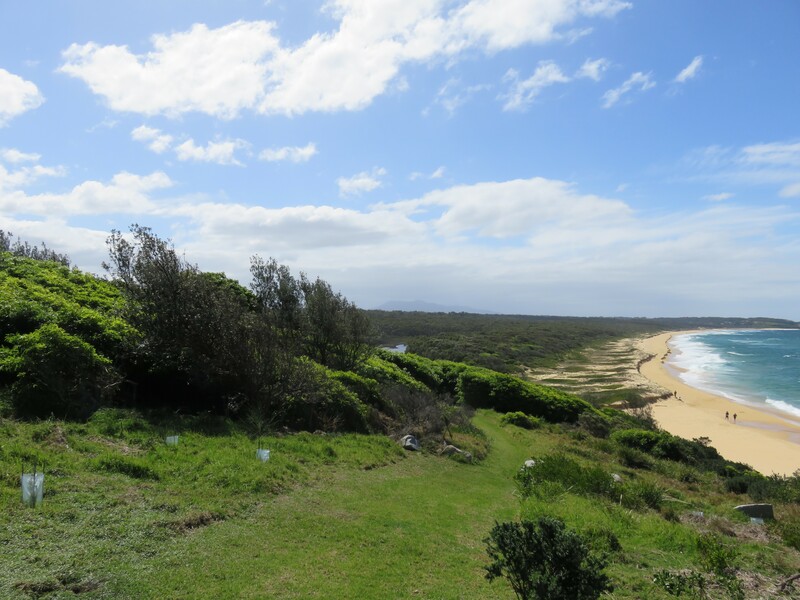 Prior to European settlement, this area was inhabited by the Yuin people, who lived, hunted and fished in the area. The first Europeans to pass along the coast were Captain Cook and his crew in 1770. In 1798 the explorers George Bass and Matthew Flinders sailed down the coast and named this rocky piece of coastline, Camel Rock. All along this coastline the sea is a turquoise colour, and thus the area is known as the Sapphire coast. 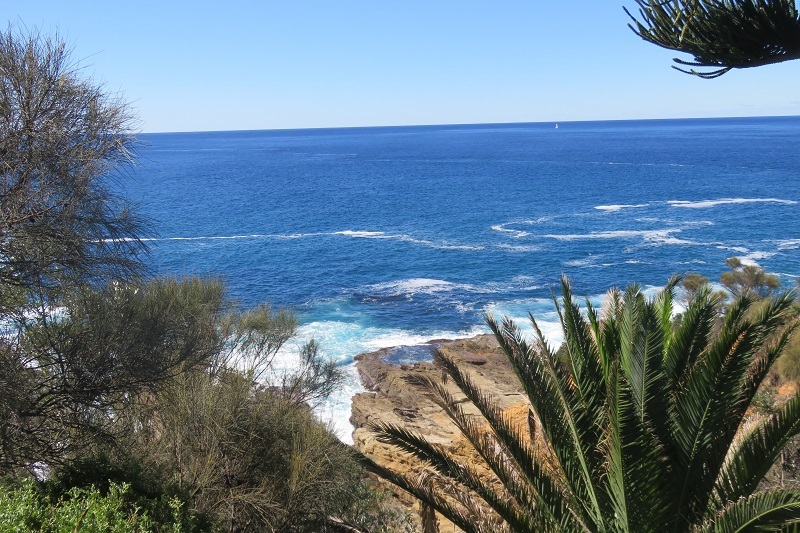 This coastline is the closest land in Australia to the Continental shelf. 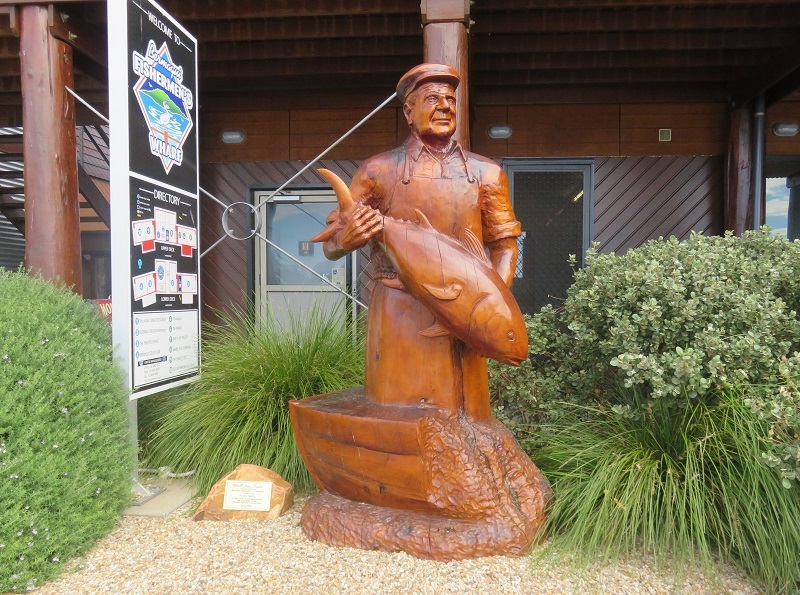 As a result, Bermagui has long been famous for deep sea and game fishing, including yellow fin tuna and marlin.. 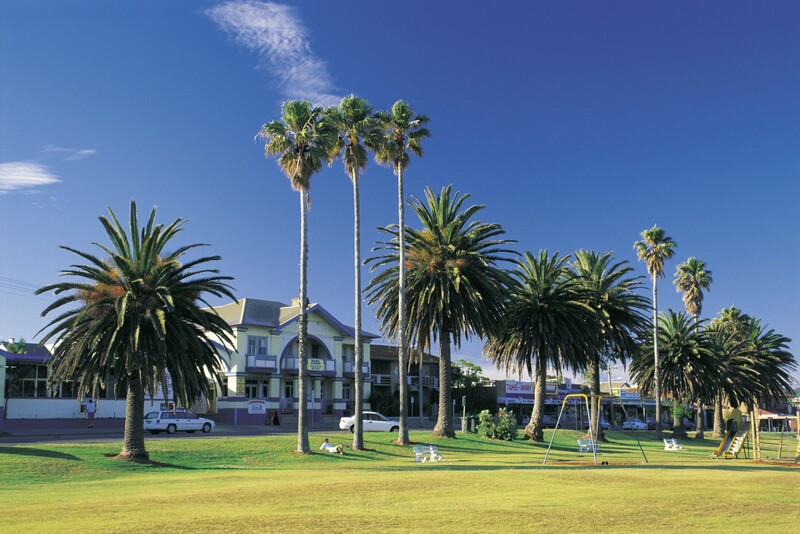 Despite its occasional brush with fame, Bermagui remains a quiet pleasant town, with just enough music festivals, craft shops and eateries to make life interesting. On this visit we stopped off at the fish shop for lunch, Paul and I had John Dory, and our friends had Blue Grenadier…I wonder if these fish are called different names in different countries? 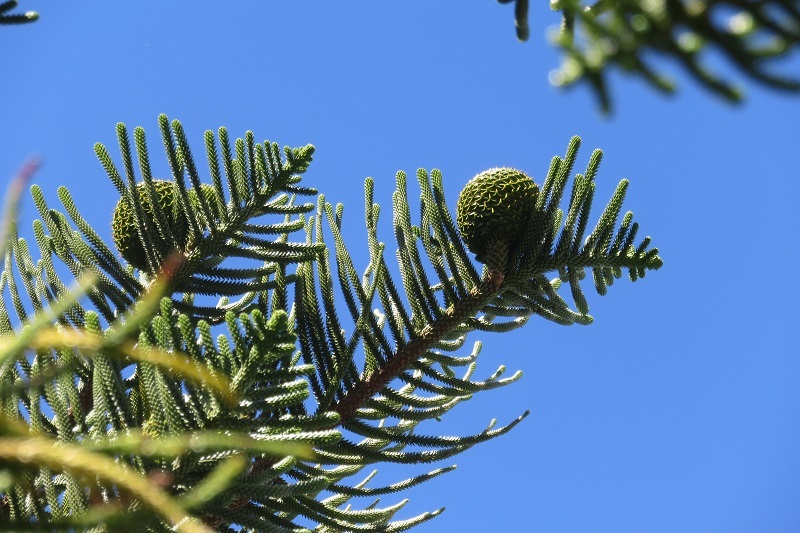 We sat in the shade of the enormous Norfolk Pine trees, looking up at the young cones above. We enjoyed the view while we sat eating our fish and chips, and chatting about local and world events. By the time we left, there were very few world problems left to solve. I hope you are having some sunshine where ever you are in the world today, or at least, may the snow be melting! 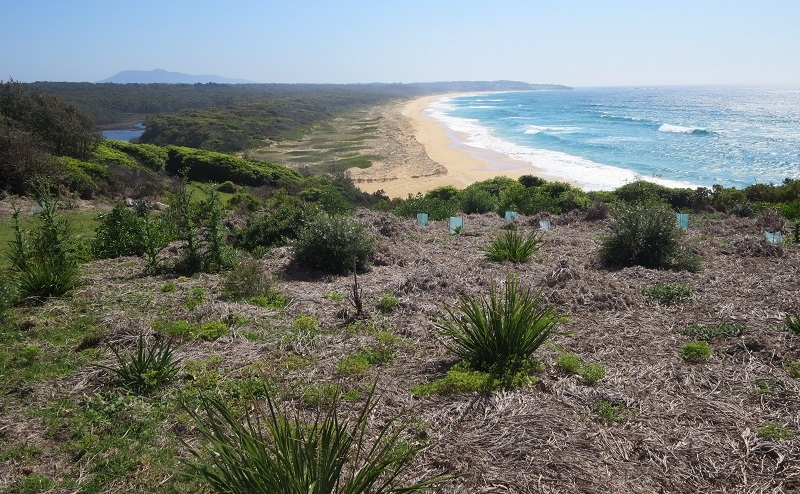 This entry was posted in New South Wales South Coast and tagged Bermagui, Bermagui Dune Care, Camel Rock, coastal Banksia, Cuttagee Point, George Bass, James Cook, Kookaburra, Matthew Flinders, Sapphire Coast, swamp wallaby, Yuin people, Zane Grey on April 7, 2019 by germac4. Enter your email address to follow Canberra's Green Spaces and receive notifications of new posts by email. 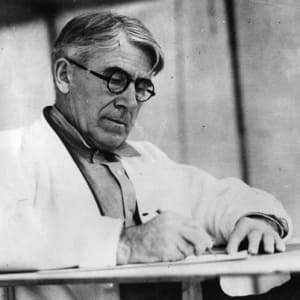 Food and family: this is where our stories begin..
National Library of Australia: the quiet achiever..
Sydney: Neutral Bay and a trip down memory lane..